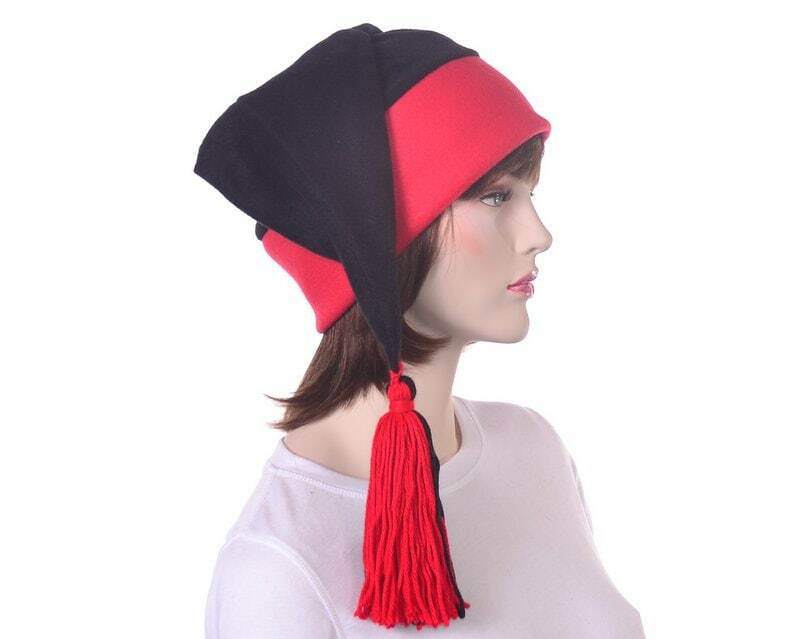 Black and red hat made in a phrygian style. 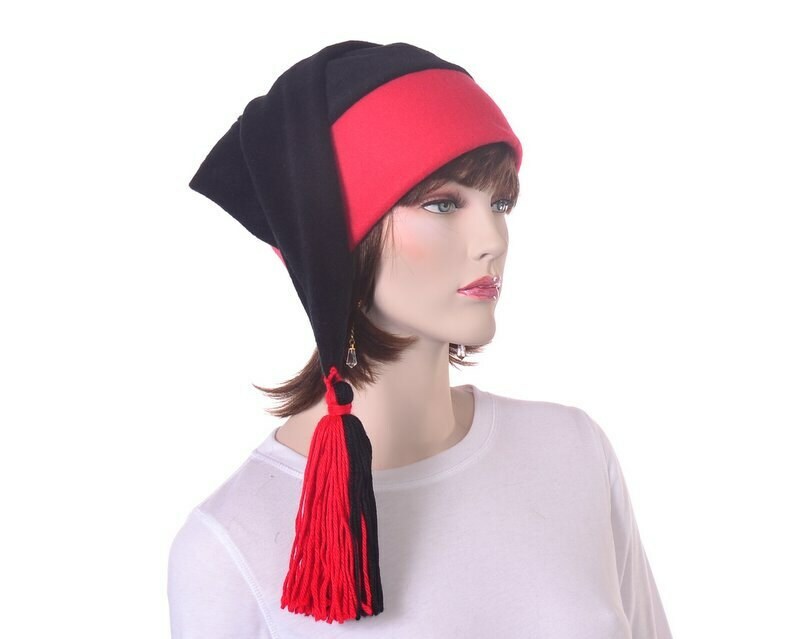 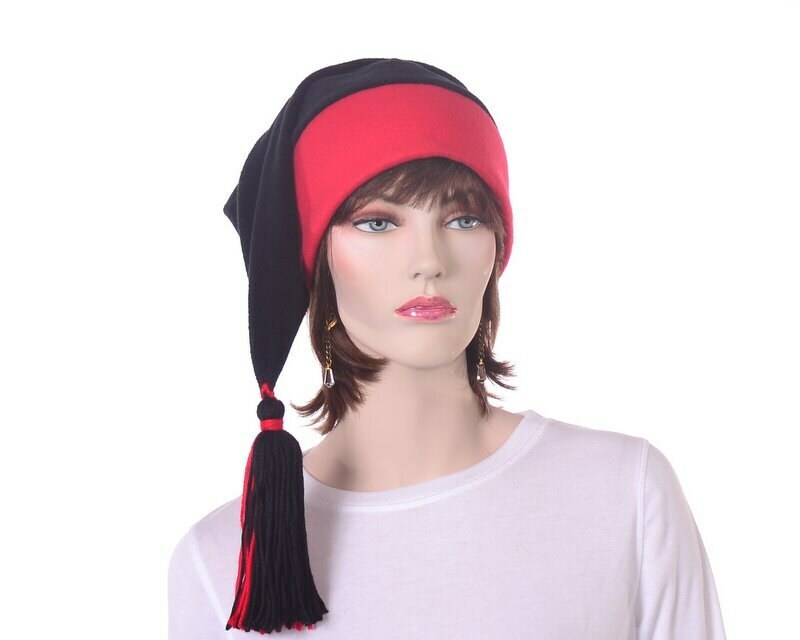 This fleece hat is made with a black body and a red double thick headband. 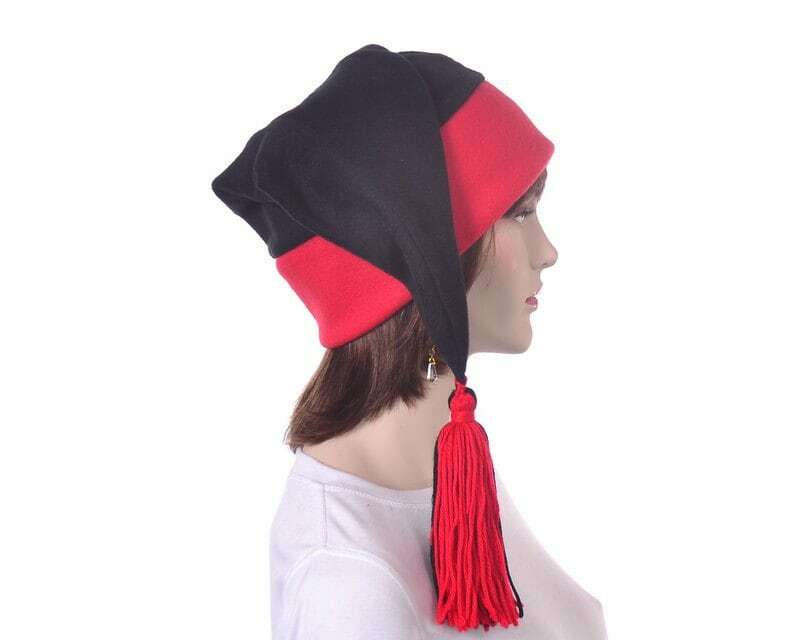 The point can be worn hanging down or fold over to the side. 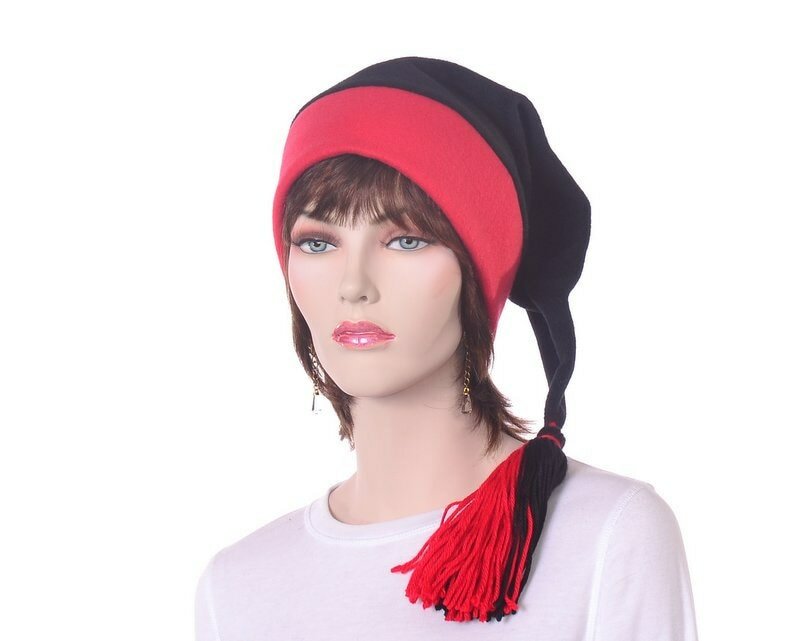 The tip of the point is finished off with a red and black hand tied tassel.